In a recent editorial breaking down timelines for potential NX details we highlighted 26th October as a key date - this is the date when Nintendo will report its second quarter financial results. In the equivalent reports for the last financial year, Company President Tatsumi Kimishima delivered a Corporate Policy Briefing, while a shareholder Q & A was also published. Both are common in Nintendo's quarterly reports, but they don't happen every time without fail. In an article outlining key details for next week's financial reports, however, The Wall Street Journal has reported that no Corporate Strategy Meeting is planned this year, meaning that Nintendo will face fewer direct questions beyond its initial presentation of results. This doesn't mean that no updates are expected, far from it, but there likely won't be as many fleshed out details as we'd perhaps expect; the officially published presentations and investor Q & A articles can be insightful and full of information, but they seemingly won't be present this year. To move onto more positive ground, WSJ still expects updates - though potentially limited in scope - on key topics, as company President Tatsumi Kimishima will be presenting the Q2 financial results and answering some questions from the media. Key points are summarised below. Nintendo "is expected to announce its plan on how it would unveil its next-generation videogame platform... It is unlikely—though not impossible—that the company would talk about the NX this week via online presentations". The financial results will show what impact Pokémon GO has had on Nintendo's revenues, with some detail expected on the performance of the Plus add-on. As normal we can expect some reference to the 3DS and upcoming games. Some additional information may come for Super Mario Run, a key Mobile arrival this year on iOS. Of no surprise is that analysts expect Nintendo to return a profit for the reporting period, despite a decline in revenues compared to last year. Some interesting points from a reputable publication, in any case. The apparent lack of a formal Corporate Strategy Meeting means that Nintendo can easily limit any detail it gives. This option to avoid extensive questioning from shareholders does open up the possibility of revealing an unveiling strategy for NX without going into much further detail. What are your thoughts on all of this? Let us know in the comments. If they don't talk about NX then they're screwed. Having no Corporate Strategy Meeting is a bad sign. Oh boy. Get ready for the rumor tornado in the coming weeks. I really hope they throw us a bone. I'm not demanding much more than an announcement of an announcement of the NX, but something. NX silence here would be such a kick in the boys. If they don't announce anything about NX it could mean an announcement in the first week of November.... On the other hand, why are they protecting the NX so much? Is it truly such a unique tech that they feel they need to keep it under seven locks? ... this strongly suggests to me that we are getting nothing on NX this week or during the financial results next week. We may very well be waiting until January. Boy! Those chaps/esses at Nintendo are devious. @Luna_110 It's possible they are finizaling some third party deals so they can announce them at the reveal. Because they really need to nail the reveal. Nintendo talking about NX at the briefing: "We still plan on releasing the NX.... eventually... but we don't have any updates because we haven't started work on it yet." They will then quickly turn to Super Mario Run, which is a mobile game and in all honestly what the investors actually care about. I feel like the article title should have lead with "According to The Wall Street Journal" instead of having it as a subtitle. While WSJ may be "real" press, they have 4 bullet points containing the words "expected", "expect" and "may come", meaning they don't KNOW anything, its all just guesswork and speculation. Wonderful, back to square one. So, can um, somebody explain to me what WILL and WON'T be happening next week? Does no "corporate strategy meeting" mean no meeting at all, just a press release? Will there be a Q&A on the phone? If it's just a press release and maybe a statement but no questions then I'm not expecting much. It's Christmas Day. A PS4 and XBone lie unwanted on the floor, while a boy sits cross-legged, weeping onto a tablet that displays a Nintendo tweet dated 25/12/16, that simply states "Nintendo NX... coming March 2017." @XCWarrior Haha. Well, no. That seems highly unlikely but nice pessimist's scenario. If Nintendo forgoes new information on NX before the financial results meeting I think we'll get a small blurb about the strategy it is taking or at least assurance about the release schedule. Worst case, NX is given a new release window. Honestly, I'll take it. Something official will be refreshing. @gcunit That really paints a vivid picture. I could totally see it. @rjejr The bit about no policy briefing is likely 100% correct, unless a Nintendo spokesman got it wrong. The bullet points are indeed 'informed speculation', to use a silly phrase. Generally WSJ and Takashi Mochizuki (the author in this case) are sensible in what they report. In any case, the financial results document normally has half a dozen paragraphs with simple details about what's coming and when, so it's likely that could be our lot. 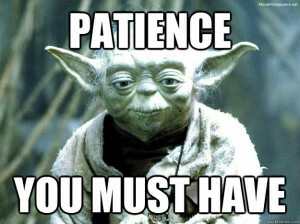 It's possible that at the same time (while the press conference is taking place) additional notices may be posted on the investor site; that happens sometimes. In any case I'll be on there clicking refresh, but I'm keeping my expectations in check. @gcunit If it's an Apple tablet the kid wont be weeping, he'll be busy playing Super Mario Run, the only new* Mario game this December. And just about the only Nintendo made game this holiday worth mentioning, since Gamefreak made Pokemon. I'm really leaning against the notion that there could be a public unveiling this week if there is going to be no strategy meeting next week. What an intense pressure that would create with investors. They'd see the NX have an opinion and be forced into silence and get no questions answered. Just doesn't seem like a good idea. I will look at the positive side and hope the lack of any news concerning the NX from Nintendo is because the have totally re-developed a far better plan or strategy and there are delays getting press releases through. Hype gets potential investors interested. There is no hype here. Big announcement this week because of huge confidence in the new platform. Instead of a Q&A format Nintendo shares how it will dominate in March in such convincing manner that no investors could possibly have any questions. It has gotten ridiculous, the way they keep pushing the NX announcement off. We literally know NOTHING about this system, Nintendo is giving Wii U owners NOTHING to play and distract ourselves with until March when NX supposedly launches. I mean it;'s going to be November very soon and March will be 4 months away. FOUR months. They're really upsetting fans and as for me, I'm going to stop caring altogether very soon. They claim they haven't revealed it because they don't want other companies to steal their ideas, but at this point I'm starting to think they are BSing their way through the whole thing because they have no plan or NX is not what they wanted it to be. This worries me greatly. It makes me feel like something down at Nintendo HQ has gone haywire and they have no idea how to handle it, as opposed to them sitting on something gold and waiting for the opportune moment to reveal it and wow everyone. No corporate strategy doesn't sound bad as I just looked up what that is. Also, Nintendo HAS to talk about the NX at the meeting cause this is their investors we're talking about. So it's like they HAVE TO. I don't really a hole lot at the meeting, I just want a NX reveal date announcement, and also a announcement if the NX is still launching in March, or not. That's pretty all I want from this meeting. They could show specs on the NX at the meeting and say that it's still 'coming in march', but they don't have to reveal anything to the general public yet, if they don't want to. Other than that, it's all going to be about the mobile game and the few games coming to the 3DS for the holiday season. Investments are going to go down...they don't really have much for the Wii U or 3DS to look forward to for the holiday season (no big titles...except Pokemon for 3DS coming, and Mario Maker). They're sharing is going to go down, but once they announce the NX, it will rise greatly, the system will release...still the profit will be high...but then it's up to the system selling well, on if it will continue. March is a weird time period for it to release, but they have the tax-returns coming around that time, and if it is a handheld console hybrid...they have the summer for when handhelds are used the most. Other than that, the system will show it's strong selling points for the next years' holiday season. My real hope is that Kimishima does have confidence in this launch and has a strong plan for marketing this new platform; his team has weighed the pros and cons of compressing the time between the reveal and the launch and decided that a continual stream of official and exciting news concerning the platform for a few months time is going to be far more effective than spreading it out. Can you guys start using the word "fewer" please? I know it's a minor gripe, but liberally spraying "less" in every single instance is poor writing and poorer editing. I mustn't be the only one this grates on! @KrakenSoup They aren't necessarily "pushing the announcement off". They could have planned the date within a week or two over a year ago. It's just people's predictions and speculation that keep moving down the line over and over as they are proven wrong. Just to be clear. If it is revealed in January and it is the exact incarnation of what you have always hoped Nintendo would create in hardware... you won't care because they waited too long to announce it for you? Just trying to follow the logic here. Also - what. is. going. on. This silence seems almost outrageous now. Surely the Mini-NES and Super Mario Run isn't all that's coming before the end of the year??! What happened to the Animal Crossing update too? Nintendo is probably just holding off on the NX announcement so it doesn't interfere with the huge business Wii U will be doing this holiday season. Looks like all the money I've been saving is going toward a PS4. @Rexx Depends if "less direct questions" and "less fleshed out details" refers to the number of questions/details, or to the extent of their directness/fleshed-out-ness. @ThomasBW84 Yeah sorry about that TW, after my post I went back and re-read the tile, still trying to figure out just what the heck is and isn't going on next week, and decided the part about the WSJ probably should have come after the - not at the beginning, as the part about "no meeting" really is the headline, not the bullet points. I was mesmerized by the bullet points. "No Strategy Briefing Planned for Nintendo's Q2 Financials - According to The Wall Street Journal NX, 3DS and Mobile Updates Still Expected"
"(while the press conference is taking place)"
So, there will be a conference, but not a meeting? So Mr. Kimishima will still have to answer questions from a live in-his-face audience of investors? Well somebody has to ask about the NX launch date. That's all I was really looking for from next week. I'm not just a stickler for word meaning from you, but from everyone, and will be watching to see if Nintendo says the NX will be out in March, will they use qualifying terms like "planning" and "expected", or forcefully state "Yes, NX in March, no if ands or buts." It's all about the qualifiers. And Chinese Lunar New Year always messes up manufacturing and shipping that time of year. It's late Jan in 2017. Good luck following all of that next week, I'll just follow you. Getting annoyed with all this NX talk and everyone impatiently waiting its reveal! I want more information on BOTW! Seems to me that everyone has forgotten about it already! At this rate, I don't think Nintendo wants my money. The annoying part of all this is I can't really give my say on when the next bit of news comes out. The reason is I actually do know when the next news is going to happen. Being a game developer and supporter of developers gets me some pretty good information and trying fully-developed games before release. Obviously I do stuff in return for this great perk. So it pretty much cuts out a good chunk of the discussions I can take part in out of fear of accidentally spilling the beans and getting my sources in trouble. Fortunately so far there have been reasons why they wouldn't reveal yet (PSVR, 3DS/Wii U releases etc) to allow me to bite my tongue and claim "well logic says that". I have told my closest friends though as I trust them to keep the secret. But as we get nearer to the end of the year, I have to start counting down the days until they start the ball rolling. Trust me, ignorance is bliss. @Rexx They announced a ND for the AC update way back when on Sept 1. Yes, Nintendo announced a Nintendo Direct for an update of a 3 year old game a full 2 months in advance, but they haven't announced 1 for their new hardware reveal yet. Nintendo logic. @rjejr Not that we're ever there, because it's in Kyoto, but at the same time Nintendo posts its results on the investor briefing site there's a brief press conference on the key points. When there's a strategy briefing (which is basically a whole bunch of slides) it's often also presented to assembled media / analysts. That's why familiar tweeters like Mochizuki, David Gibson etc are tweeting information just as the presentation pops up on the investor site. So the latter part isn't planned at the moment, so what we'll likely have is Kimishima presenting the financial report, summarising key points and then straight-batting a handful of questions. Much lower pressure to 'reveal' stuff that way. As I say, there's likely to be a few paragraphs in the reports saying how things have sold, what's coming up. Thin details, but they're expected nonetheless. This is getting beyond annoying, it's very obvious Nintendo doesn't want my money, and wants me to buy either a Xbox or Playstation. @Great_Gonzalez I certainly haven't forgotten about Breath of the Wild! In fact, I expect them to show more of it in congruation with the NX reveal and no sooner. And the biggest reason I'm worried about a delay for NX is that it's pretty clear that they're not going to release the new Zelda before NX is out. "NEWS" and NX in the same article! I can't be! Not just a rumor! And why the hell everybody is considering "this week" (16 ~22) as a real possibility of NX revelation? Genius! I hate to correct grammar but it happens in every instance here and always reads so badly. I appreciate the effort put into my favourite Nintendo source! Though, and I've said this months ago, it depends on the audience. Seeing as how I'm still 50-50 between home and hybrid, I still think nutjob Nitneod could announce at CES. Sony Dash was at CES. That AMD tablet was at CES. NX could be at CES if it's a causal gamer thing. Which would explain NX not being at any real game event b/c it's not a home console. Other choice, Nintneod betting big on the Game Awards Dec 1. Maybe the entire show will be sponsored by Ntineod. Heck, it's 'not like they have anything else to promote this holiday, Gmaefreak and TPC will do the heavy lifting on Pokemon and Apple probably on SMR. And that's all there is!!! And NES Mini, which will sell itself. So, reveal early Nov to put off some X1S and PS4 sales, take over TGA if it's a Home, or wait until CES if it's a hybrid, sell NES Mini and 2DS over the holidays. And make 1 gazillion $ on SMR, Apple people like to spend money. They'll probably still give details, they just may not have a fully detailed strategy for the next quarter... they don't have all that much on the way before the NX is released, so their focus for the next quarter will be on that... and if the NX is a hybrid, then they have no real precedent to guide their approach to it's release, so they might just be planning to play it by ear. @rjejr yeah yeah I know! It's just I need ANYTHING to look forward to at this point. "Will i buy a PS4 or wait for NX? PS4 is great, NX might be great, i know what a PS4 is and what it can do, i don't know a single thing about NX yet...", and at the end of that internal debate they buy a PS4 instead because Sony isn't afraid to tell the consumers what the bloody thing is. I have something similar, i have been considering upgrading my 3DS XL to a "new" 3DS XL, there are enough SNES VC games out now that it became a good idea, except i don't know how the ever-nebulous NX would affect the decision, what happens to 3DS support when NX comes out? I don't even know if NX is entirely or partially portable, if so, my "new" 3DS will be obsolete in 6 months (Since supporting an old system the first year or two that a new one is out is sooooo "late 90s"), maybe NX will be portable and backwards compatible, that would be 200 bucks completely down the tubes then... Altogether too many question-marks for a 200 Euros decision. @ThomasBW84 "a brief press conference on the key points"
Since you seem to be hanging around, is there a set time yet? Your time or their time is fine, I'll let Google do the math. @Frank90 Coz of rumors mostly. Also Nintendo Direct anniversary on Friday and the looming investors meeting next week. Nintendo's going all Yoda on our sour butts. @MysticX I've been eyeing that purple New 3DS XL in Target myself. We are getting a PS4 for Christmas - haven't decided on Slim or Pro yet - and NX will have to wait. But I do wonder, if 4DS (the NX handheld component) can play 3DS carts like the 3DS plays DS carts, (2 tabs instead of 1) well then I don't need a 3DS. Which would be a very good reason not to show NX until after people have gone Christmas shopping, or you would kill 3DS sales. Wii U has no sales to kill, so all of us Wii U owners are in a big rush and don't understand the wait, but 3DS has SMM and Pokemon, and AC: Old Leaf Updated. The NX has become a joke at this point, I think they silently dropped it and focused on mobile instead. Or maybe they're just trying to sabotage it so they can get out of the hardware business. @aaronsullivan the problem is the longer they hold off building hype the less likely it is to be everything I want. The problem with the wiiU to me is that it has too few good games. Essentially the console became a nintendo DRM tax. The concept could be solid but if nobody knows about it, doesn't buy it, and 3rd parties and nintendo drop it as a result it becomes another nintendo tax and exactly what I don't want. This thing is starting out WAY behind. The made a lot of wiiU owners mad so a lot of them arn't eager to jump on board, they missed the holiday season so everyone's already spent their money, and now they're not letting anyone know it exists. Actually now that I type that it makes me think this is a sign of nintendo arrogance. They havn't learned their lesson and they still think they're the big shots in the game industry. @rjejr It's normally 'when the stock market closes' in Tokyo, in recent quarters the report's come out at about 8am UK time (4pm Japan), which is early hours of the morning in the US. Screw NX: Still waiting for Cloud and Bayonetta Amiibo over here. Also can they not get a GC emulator running on the WiiU? That would plug some release holes. $10 a pop? I'd happily play Blue Storm or Melee until NX came out. @Moshugan Oh I get it, but I think that hardly we'll see anything on Friday. Wow, thanks for uploading Animal Crossing New Leaf Welcome Amiibo version. So, when is that edition will be released ? Btw, I have noticed if the cover art looks different. @Yorumi I've been thinking about this too, you look at situations like the XB1 reveal or the PS3 reveal but you always saw that change later which usually led to a comeback but not this time for Nintendo. When you consider Go, Super Mario Run, NES Mini, and Pokémon on 3DS, Nintendo actually has quite a few irons in the fire; so there's no compelling reason why they should have a full NX announcement before the 26th. Seems more likely they'll simply give a date for the announcement this week. With the way Nintendo keeps things quiet in a slim tolerance attitude you would think they work for the government. They may as well. Just think, their national security would be super strong willed. Anyway lol back on topic. I expect this kinda of write-up concerning Nintendo. 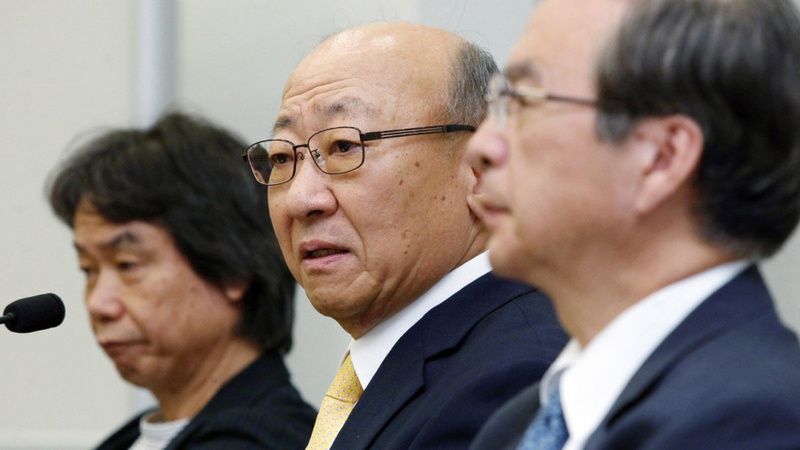 We can see that Kimishima is the new influence cooperating alongside what Nintendo has always practice to be. They even use internet and social media responsibly. They work within their own corporate rules and do not seem to be controlled by any outside source, not even by investors. They seem to be very self controlled and not intimidated by any social site regardless of the write-up. Imo. This current story is consistent with what Kimishima said months ago, by saying "we will 'speak' about NX in 2016". Imo it's a strong and straight forward statement. And I don't think Nintendo is willing to actually reveal their new hardware until 2017 before launch. For the next two and a half months I think we will continue to hear a very slim portfolio of the NX capabilities. Other than that, Nintendo isn't going to say anything, and neither will the 3rd parties that have dev kits and are in close business agreements with Nintendo. It's a tight lipped situation (literally). People that are complaining will continue to hash tag their feelings about it to no avail. @RadioHedgeFund Here's the saddest part about GC VC games. The wiiU doesn't need to emulate, it's hardware can run GC games natively. The disc drive can't read discs but all nintendo needs to do is drop the disc image on the eshop and the system could play it. @Grumblevolcano the other thing to consider is this late of a reveal means there's no real time to assess feedback and make adjustments. They're basically going sink or swim on this. Makes sense if they don't want to reveal too much about NX too soon. Seriously though, at this point, I take a daily look at NL in hope of a NX reveal. In the few secods during loading the site, I picture myself seeing the article where we get some definitive and official info. Every day I do this... up to the point where it won't be a surprise anymore when they finally reveal it. I know I shouldn't be so eager and desperate and usually my strategy would be to just forget about it until it's ready. And I partly did that in the last months. But now I've reached a point where my curiosity is just too big, caused by the growing proximity to March. Come on Nintendo, don't torture us like this, give us some info! @shani How do you think I feel CHECKING for that info hour after hour? @Anti-Matter Good question about the date of the new box being released. Nintendo being Nintendo their website only says "Holiday 2016". Which in the US could be considered to be after Halloween. Since the ND is scheduled for Nov 1 I'd guess that box will be on shelves soon after that. But that's just a guess. Super Mario Maker on 3DS is due out early December so they'll probably want to promote AC:NL:Wa in November. You do you know you don't need the new game cartridge, if you have the game you can just update it. I'd guess early November for that as well. But again, just a guess, no facts. But wouldn't such a cheap trick backfire on Nintendo? Plenty of people feel like WiiU's swift discontinuation is a bait-and-switch as it is. @MysticX "WiiU's swift discontinuation is a bait-and-switch"
Bait and switch is too polite, more like thrown under the bus, run over and left for dead. Cheap trick? You mean making the NX backwards compatible? That's not a cheap trick, that's a great move. 3DS games have never been on a TV. If NX can play games on a TV, whether it's a handheld or hyrbid w/ TV out or a Home console, then that's a big plus in my book. If you mean waiting until after Christmas to tell us NX plays 3DS carts, well that's just business, unfortunately. Maybe before Christmas but after Pokemon and SMM? @ThomasBW84 Actually, I asked myself that already. Has to be even harder for you guys since you have less distraction from this issue. @shani I have five tabs always open to official Nintendo feeds / PR resources. I'm at the point where I can always find other articles to do though, so it's not all that bad. @rjejr I'm talking about not telling us about backwards compatibility, if NX is even a portable at all (If it's not, i could go ahead with the new 3DS), and basically just playing a game of "Keep away" with every little snippet of information that consumers could use to make a reasoned decision either for or against buying NX, if Nintendo have confidence in it, it won't hurt for us to know what NX is, right? @ThomasBW84 Haha, that's almost exactly how I imagined it. I guess the only thing "missing" in your description (compared to my imagination) is the inclusion of a browser extension like "Page Autoreload". Can we please just get to know the official name? I'm tired of constantly using the codename/placeholder. Nintendo, you can tell us the specs and details later or even next year. I don't care (kidding). Just tell us the damn name. @MysticX To add, at this point they really can't copy it in any reasonable time. Sony and MS have both started production of their improved consoles and they're not going to just suddenly drop that out of the blue to copy the NX. I'm not even sure they would have attempted to copy anyway. The wiiU just bombed why waste time copying nintendo's new gimmick when you don't even know if it's going to bomb just as hard. So I agree the question now is really why are they hiding it? It makes a lot of sense for Nintendo to ride out until past Christmas with what they have. Pokemon, Mario Run, Nes mini, will be big sellers. And why try to fight with ad space between ps4 and xbone when the NX isn't releasing until 2017? It would wash out the focus, although waiting until after the holiday smoke has cleared Nintendo will have all eyes and ears on them. I suspect a January announcement, and possibly pushed back release. @oceano Except no one will have any money then. My first reaction at the headline was to laugh. Nintendo is being so secretive they just altogether cancelled an expected meeting in order to troll us more and dodge NX questions. But upon reading and thinking about it a little more, it sort of makes sense and I am still hopeful for an announcent of the reveal (or as I call it, the reveal reveal). @Yorumi Perhaps, but I personally have never bought a new system during the holidays (except for the n64). @Luna_110 We can only hope the tech is that amazing. @MysticX I agree, if other companies are going to copy Ninteod's ideas they are going to do it after relaese anyway. And right now both other companies have their hands full as it is. Sony has PS4 Slim, PS4 Pro and PSVR. And PS Vue and PS Now. MS is maybe focusing on making their own hardware, and Hololens, and making Xbox games playable on PC. Coincidentally they have a live press event in NYC next week. So while I'm sure Nintendo has it's reasons, I don't really believe secrecy is 1 of them. Maybe the ND isn't ready yet. Or they showed it to a focus group and it sux. (They should have done that w/ the 2015 E3 NDE, b/c that was a travesty) Maybe Apple bought it from them and are turning it into "iGame"? Maybe they want to sell a lot of 3DS before telling us a handheld NX will play 3DS carts, as evil as that may be. But secrecy? That's not it. It will be tax time here in the US so actually everybody will have a bunch of cash to spend. On another note: Kimishima needs to be fired/replaced if we don't get a reveal soon. If they're waiting this long to delay it they're really in some deep poop. And if we're not hearing about NX because of Nibelsnarfing Pokemon I(and a bunch of other fans) will be livid. This poop is ridiculous and this is coming from one of the biggest fanboys you'll ever meet. @oceano It doesn't matter if you personally don't buy consoles at the holidays, and it doesn't even have to be consoles. People are spending their money on gifts and things for themselves at this time. After the holidays spending drops sharply because people having spent so much during that time don't want to spend anymore. If they know what the nx is they can decide if they want it and put some money aside, waiting till after they will have already spent the money and be less likely to buy the new system. They've already waited too long, waiting till jan? That's suicide. @Rexx haha that has been bugging me forever but didn't want to be the one to point it out because EVERYONE does it. I can see how you came to that conclusion. For me the more I think about the more I am convinced that this delay is NOT deliberate. They may really be struggling to nail down a few things this late in the day, relatively speaking. I believe it can be hardware. I don't buy into this nonsense of them "hiding their killer gimmick" from the competition, it's not like the competition really cares. @Luna_110 Of course not. Everyone in the industry knows what the NX is, or at the very least can learn what it is if they try hard enough. This includes Sony, MS and any Chinese company that cares to find out. Nintendo is absolutely not hiding it "because they will steal the concept". I can't possibly fathom how that could be the case. Does nintendo know that this may hurt their 3DS and other sales for games and systems? With all of the rumors surrounding this secretive system, many people are thinking it's a hybrid and not buying the 3DS or Wii U, thinking they better start saving up, but also thinking that it will be compatible with 3DS titles...which I don't think it will be. I don't think nintendo should have said anything about the console at all those couple of years ago, but just left it alone, then there wouldn't be all of these rumors floating around, but man...they're really having fun watching the 'hype' come with this for people just waiting for an announcement. It's a shame that after they make the announcement and show off the console, and we all know it...the haters will come on and the normal 'nintendo is doomed' will appear again. Almost like nintendo is doomed if they do and doomed if they don't. No matter what, nintendo will announce this console and it will disappoint someone. I'll be happy with anything they put out, as long as they make the games for it and not give up on it too soon (like they basically did with Wii U)...and as long as the games have more gameplay and depth then what most of the Wii U titles had/have. (PS, I own the Wii U and a great library, just don't feel that the games are as great and in-depth as they were for their other consoles...but love Mario 3D World, Mario Kart 8 and Pikmin 3). @Yorumi Pretty much this. I love my Wii U despite it's obvious flaws, but even if the NX is the greatest console ever made, I'll be in no hurry to buy it at all and maybe ever. At least Sony and Microsoft tried to make the best out of a bad situation with the PS3 and XB1. Nintendo's "fix" is for me to "please understand" and buy another console that they'll support this time? I'm beyond skeptical. Not a great message to send customers. seriously though, This doesn't sound positive. If everyone in the industry knows what it is, why haven't we had any leak? We had leaks about PS Pro and the Xbox One S, but no one has been able to upload a good leak about the NX? At this point, I'm not even surprised in the slightest. Waiting for the NX has honestly gotten very tiresome this past year, not that I expected them to unveil it during the briefing anyhow. I think I'm just about done. It's the Final Countdown! Its either news now as in Friday or next Wednesday, or later as in November or December! Either way i will be incredibly flabbergasted once the flood gates are opened. So is it https://www.nintendo.co.jp/ir/en/library/events/160428/index.html that's going to be skipped this time? @Luna_110 Almost as weird as no one leaking the NES mini or Super Mario Run. @Luna_110 It's simple. We've had legitimate leaks, but they are buried under the countless other contradictory "leaks" and speculation. Fans don't know anything about the NX, so they don't know who to believe and who to ignore. I'll go with the good ole "if it sounds too good to be true, then it is most likely fake". @Grandpa_Pixel I can feel your anguish! I know what it's like when you know decisions a company's got to make but you have to just sit tight and zip it! Unfortunately a few people here just don't get that side of business. @JLPick "It's a shame that after they make the announcement and show off the console, and we all know it...the haters will come on and the normal 'nintendo is doomed' will appear again. Almost like nintendo is doomed if they do and doomed if they don't. No matter what, nintendo will announce this console and it will disappoint someone." Bound to happen, no matter what they do they will never escape that fate. That's their cross they have to bear. Things that other companies get a pass for, Nintendo will get gunned down for. @MysticX Yeah. I've got BotW preordered for the Wii U. That should keep me busy for a while. The Wii U graphics look pretty awesome to me, so I don't think I'll feel too bad if the NX version looks a bit better. Maybe Pikmin 4 would get me to bite, but there will have to be some real, sustained 3rd party support as well. @Joeynator3000 sorry! I forgot where I was for a moment! But yes, very worrisome. I don't know what to think. I hope they announce the NX with a bang! I wonder what it'll be officially called? Maybe NES will make a comeback perhaps why there releasing Nes Mini? Or Nintendo Entertsinment Tablet the NET. As much as I'd like them to finally reveal the NX, I would settle for a firm date on when they will make that reveal. But I'm getting to the point that if that doesn't happen really, really soon that I won't support NX and will move on. At least I know NX will be far beyond Wii U. Nothing will disappoint me as bad as Wii U. So it can only get better see? The PS4PRO doesn't even have 4K bluray player but the MS XBOXscorpio will?! How did they fudge that up?! I just got s 4K tv they're way more affordable now and will be the norm in a year or so. Just like HD and blue ray took over after PS3 how could they miss this? They must not want to Cannibalize their 4K Bluray players. Pfft! Nintendo NX can't possible disappoint me any more than Wii U did. And for the first time ever I'm thinking of buying an X-Box. Wow never thot I'd say it. @Galactus_33 That's an interesting way of looking at it. I'm personally enjoying the Wii U despite its commercial failure, so if it tops that I will also be very happy indeed. The only way is up, as they say. @gcunit OH my gosh. Remember when that happened with N64? Out for Christmas, 1996 in US and Japan...and Europe? They ran ads in magazines, saying: "Wait for it...." - March 1997, XD....haha.. then it was £250, and they slashed the price a few months after launch, and everyone was so outraged, they had to give away free Mario Karts and controllers to make early adopters happy, XD. Ahhh....I'm showing my age!!! ^_^. @Galactus_33 I'm also disappointed with the lack of UHD support for the PS4Pro, but in the end, I did not plan to upgrade neither my X1 nor my PS4, any time soon as quality 4K TVs are still ...staggeringly expensive. I have no interest in trading in my top of the line Panasonic 1080p Plasma for an inferior but cheap LCD-based 4K TV. A high-end OLED 4K screen is probably still upwards of 8000 bucks and while OLED is the way to go of course, apparently there are still issues with peak nits for HDR - not to mention problems with input lag in HDR and other niggling issues that will be ironed out in the near future no doubt. Do you prefer Forza, Halo, Gears of War, Recore, Scalebound etc., or do prefer The Last Guardian, Persona 5, Bloodborne, Nioh, Nier Automata etc. .... these are very different preferences, and I would recommend picking that platform that suits your own tastes best. Simply put, Forza Horizon is amazing, but so is Bloodborne, they are just very different games for very different audiences - neither is for everyone. @capitalism No profanity, partially censored or not. Thanks. NX better be something truly spectacular for this long of a wait. Eventually, someone will ask a question about the NX at the meeting and they'll be forced to answer or at least give a vague, "we're working on it." Either way, we will have at least one new tidbit of NX information by the end of the meeting. I remain convinced that the 'interact with your games on the go' tag line and the NX having a 'portable element' mean that it's modus operandi is companion apps+1. That sounds terrible but a Pokémon Stadium for your Go collection or Cap'n's Island for Animal Crossing running perpetually on your phone show how lucrative it could be: casual players can be wrung with IAP and that may translate to increased console sales. Rather than stat trackers like Destiny each companion app will be a full fledged game that links into a home release. This would also explain why Nintendo are being so secretive. A handheld that doubles as a home console is a dumb idea with little mass market appeal and zero incentive for Sony or Microsoft to copy. Companion software would be an idea that could easily be integrated into PS4/X1 at a moments notice. Nintendo don't want the other consoles copying their core idea before they even launch. I bet the home console will be a decent powered machine with a good controller. Or as we all want: an HD GameCube. Speaking of the NES mini, why is Nintendo not letting retailers such as Amazon or Gamestop taking preorders for it? So basically... This is the announcement of the announcement of the announcement? @RadioHedgeFund Companion apps have existed for ages. If may very well be a feature on the NX, but I find it very hard to believe Nintendo will build an entire dedicated gaming platform with companion apps as the main focus or innovation. "...casual players can be wrung with IAP and that may translate to increased console sales." This is pretty much what is currently happening with the 3DS right now, and it is likely what Nintendo hopes will happen with the NX. @CrazyOtto Thanks for posting the link. Crazy sensation having been trudging through this understandably pessimistic comment thread for the last 30 minutes and then coming upon this! @aaronsullivan I have stuck with super low expectations on NIntendo all year long. Thankfully, this morning, they have restored some of faith in them. Still need more details, but today is probably the biggest and best day for Nintendo since probably the release of Splatoon. @XCWarrior I think I share your opinion of the best days for Nintendo from me. This and Splatoon. Really liked Mario Maker, too, though, but Splatoon and the story around its development was super encouraging for the future of Nintendo. And details are certainly going to matter, but even when we have them in writing it won't tell the whole story.